Hello families! My name is Robyn and I have a day home "Robyn's Nest" in the quiet west side community of Sunridge. I am a certified level 2 childcare provider and am currently in the process of being reassessed for my level 3. 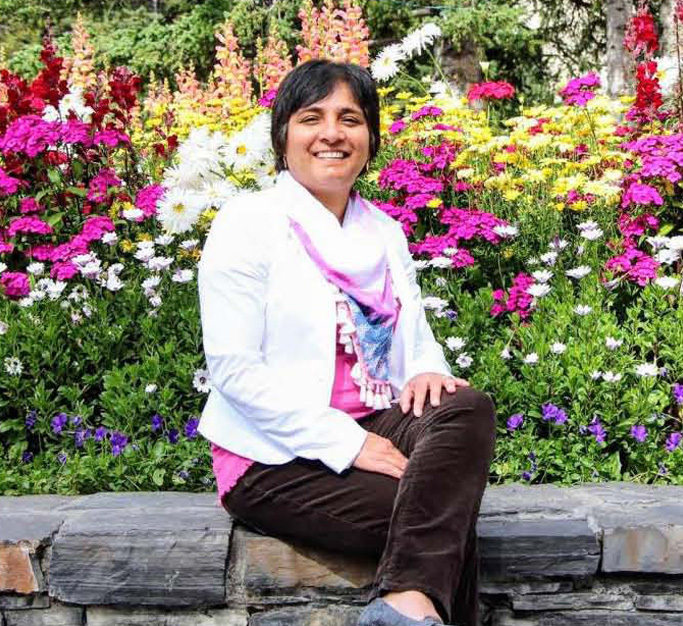 I am originally from Nelson BC and completed my Early Childhood Education certificate at Selkirk College in Castlegar BC. Once I achieved my certification I worked a permanent position at a day care, and subbed at a variety of other day cares, all while working part time as a pre-school teacher. I moved to Lethbridge in 2001 where I worked at a day care as well. Shortly after this move to Lethbridge I began to work with children and adults with developmental disabilities. This work experience led to an almost 15 year career in the disability field. I was able to grow and learn so much about people, about compassionate care and about acceptance. I achieved various certifications and gained an unimaginable amount of knowledge in so many different areas. I loved my job and knew that I would always work as a caregiver to a certain degree. During this time I married my husband Paul and we have two wonderful boys, Kruz (6 years old) and Levi (3 years old). When Kruz was 1, I put him in a day home and I really learnt, as a parent, how difficult it can be to leave your little one. This experience taught me so much about myself, my son and my family. It taught me about how precious children are and how important it is to find that perfect fit for your perfect someone. It reminded me of my values and gave me an inside look into day home world and helped me to understand my expectations as a parent. After my second son was born I chose a friend (Amy) to take care of him while I worked part time for 2.5 years at my job. This experience was like none other to me. The nurturing and care and bonding that she provided to Levi was outstanding. Each day I watched him grow with Amy and I saw his accomplishments as pride in her eyes. As days went on it was clear to me that I wanted to be someone else's Amy. This is what has led me back to the field of Early Childhood and gave me the drive to start my own day home. Parents, I look forward to spending time with your precious gifts. I look forward to growing with them, celebrating all their accomplishments and learning all they have to teach me. 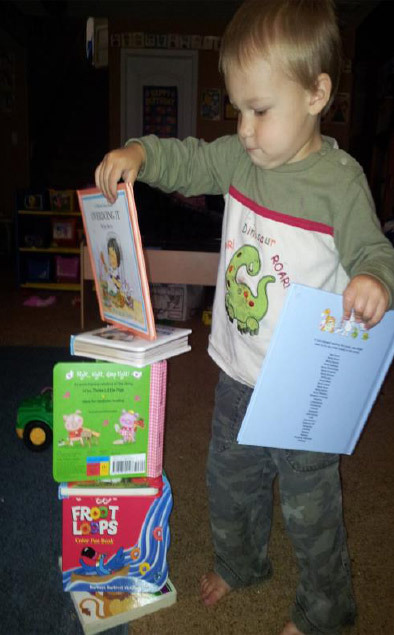 I plan to provide emergent programming with your child's needs in mind. 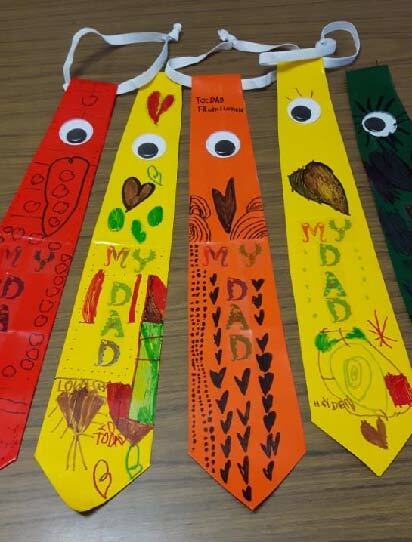 I look forward to decorating my home with your child's artwork and proud moments. I look forward to being someone they trust and someone they look forward to visiting each day. I believe that children learn even more when their interests are nurtured. I will provide healthy meals to your child to ensure that they have the energy they need to get through the day. I also look forward to my relationships with parents and families. I am an open, easy to talk to person and I hope that together we can make plans and arrangements that suit your family in the best way possible. I am so proud to take on this role as a caregiver for your children and I look forward to all the adventures, treasure hunts, messy art projects and laughing that this journey will take us all on. Hi, my name is Stacy Deys. I have been a day home provider for 11 years. I knew that I wanted to work with children from a young age, and that is the path I have consistently stayed on. As an elementary school aged child I would go directly from school, to a day home on my block to help with the children. After a while the lady started to pay me $5 a week, but I enjoyed it so much the money was just a bonus. After high school and before College, I was a nanny and thoroughly enjoyed that as well! I took Child and Youth Care at the Lethbridge Community College and from there worked as a family support worker for Family Ties in Lethbridge, before being hired as a Child & Youth Care Worker in the Palliser School division for 6 years before having our first Child. In this position, I really enjoyed developing programs to cater to the needs of children who struggled socially and emotionally in varying ways. I was able to work with the general student population through a school wide bully prevention program that I developed, visiting classrooms to give presentations based on monthly themes related to bullying. I was also able to work with children in small group settings to support development on skills identified as lacking by parents and teachers. These included anger management, friendship skills, and social skills to name a few. I have been at home since having our first child twelve years ago and am the proud mom of three awesome kids, age 12, 10, & 7. I have a wonderful husband who supports the crazy busy atmosphere of having so many little people in our home and I am so grateful for that! It is important to me that the children who come to my day home know that we are a day home family. We have family meetings when there are conflicts, or to do planning for activities. I look for opportunities to encourage compassion for each other, and to be a �cheer leader friend� (encourage each other, give compliments on each other�s crafts etc.). 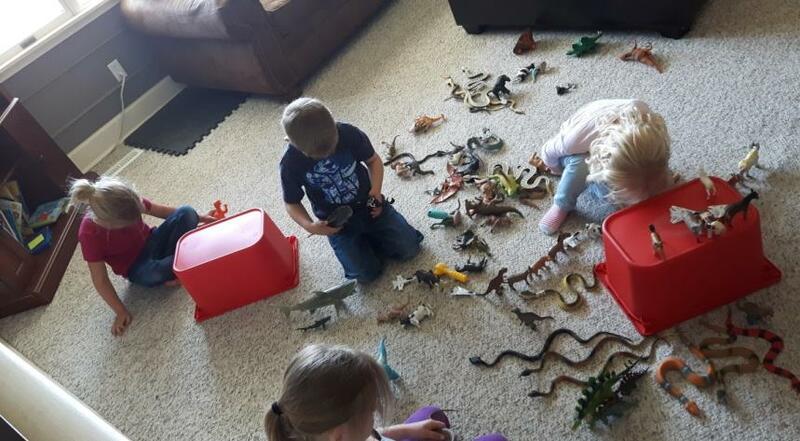 I like to offer a balance of free play, and organized activities, and can recognize when it is time for that transition. It is also important to me that the children in my care feel loved, celebrated, and treated fairly - just as I want my own children treated by grownups who interact with them outside of my home. Hi! 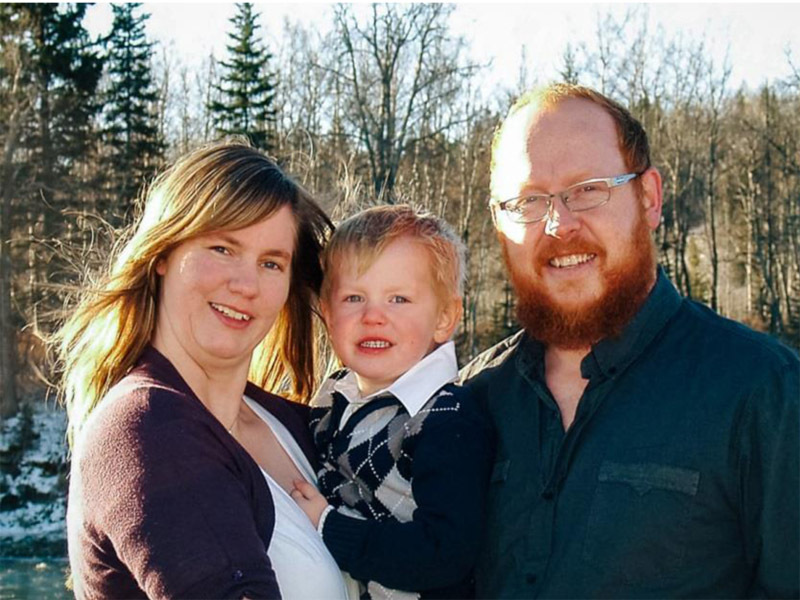 My name is Colleen Giesbrecht, I live on the westside of Lethbridge with my husband Nic and 3 children; Blake (dec 2007), Kayla (dec 2009) and Alice (June 2013). I started my day home in October 2008, and have been through an accredited agency since opening. I obtained my diploma in Early childhood education through the Lethbridge college. 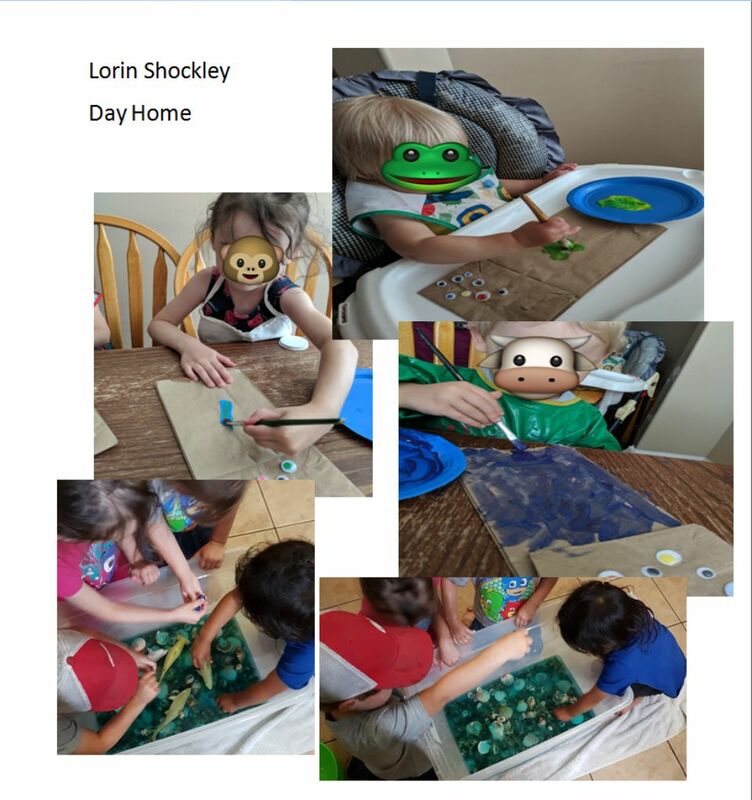 Through my schooling I completed practicums in an Elementary school, preschool, day home, and several day care centers, through these experiences I have decided day homing is the best option for me! 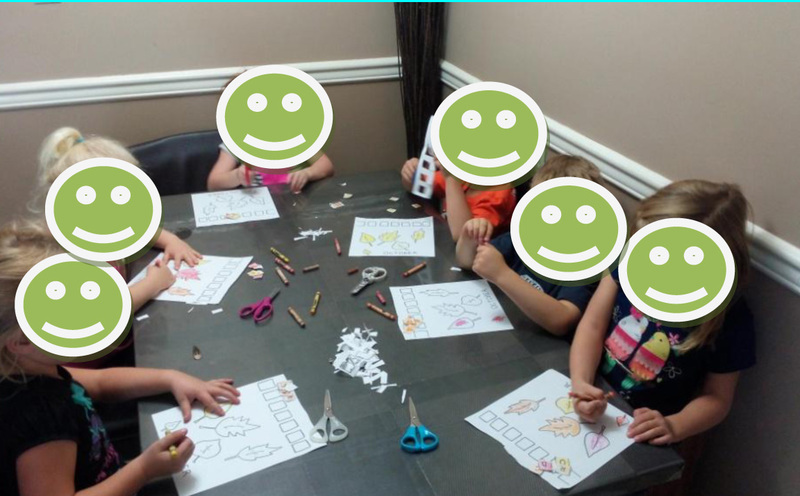 I offer childcare for preschool and kindergarten children. Preference goes to children enrolled in Little Lambs Preschool and Probe Elementary school, though may consider a child in St. Pat's or Nicholas Sheran. I prefer to limit the amount of schools I offer transportation to, this helps minimize how long the children are in the vehicle and gives us the opportunity to walk to school several times a week when the weather is nice. During day home I plan many different themed activities for the children. I try to select themes based on the children's current interests and plan activities in a range of different developmental areas. I take the children on field trips; Coulee Centre, Henderson park, Nicholas Sheran park, family center, library and more. During the school year we stay at the school playground a couple times a week, this gives the children an opportunity to see school friends, connect with their community and of course burn off lots of energy! Hi my name is Louise Riopel. I have been running a dayhome for 9 years now. I started a dayhome after having my first child. I have two children of my own who I adore. I love being a mom. I know it�s the best thing I did in life. I really enjoy running a dayhome. Being able to stay home and care for my children along side other people�s children makes me happy. I enjoy their individual personalities and love seeing each of them learn and grow. I love taking the children out to parks and we do many field trips such as the fire hall, police station and the corn maze to name a few. In my dayhome playing outside is a must. We get out all the time and keep busy exploring the outdoors with park play and nature walks. We really enjoy doing art activities here and learning about things while doing them. I teach preschool style learning. We do calendar and circle time learning each day; learning about our daily topic and exploring through play and various activities. The most important thing to me is family and teaching dayhome that we are like family. I have been married for 11 years to my amazing and loving husband Danny. We share our two beautiful children Carter and Taya. We are a very active family and love to do many kinds of sports and travel. We enjoy camping every weekend in the summer to have quality time together and we raise our children to respect that. If your child comes to my dayhome I do offer transportation to schools. 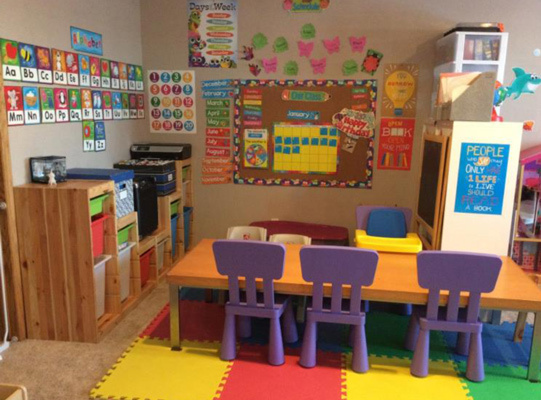 I do offer before and after school care and I also offer preschool and kindergarten pick up and drop off. 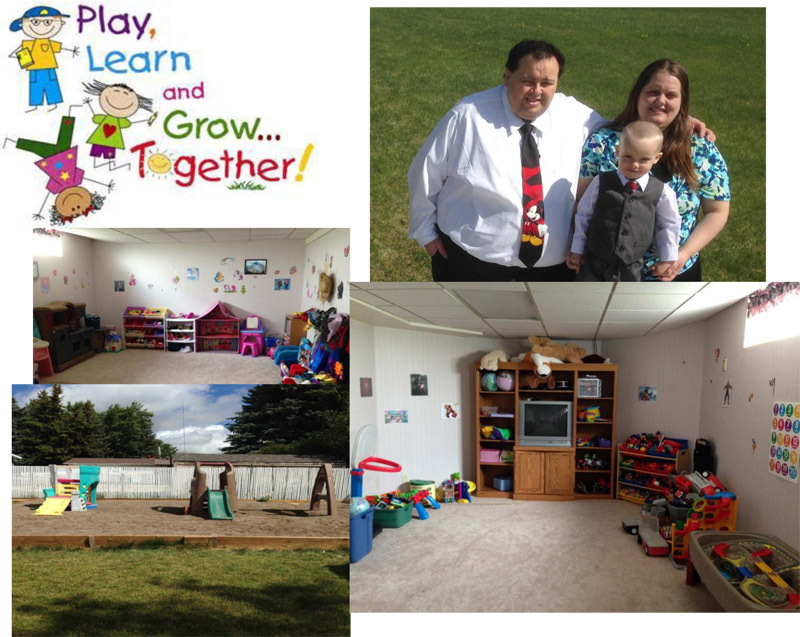 Hi my name is Michelle and I run Peaches Play Place Day Home in West Lethbridge. I have been operating a day home for almost 13 years. I am married and we have 3 children of our own and 1 dog. I have had an Early Education Degree since 2003 and an Educational Assistant certificate since 2009. I also have food safe, baby and American Sign Language and currently we have 2 university students from Japan and South Korean in our home till January 2017. 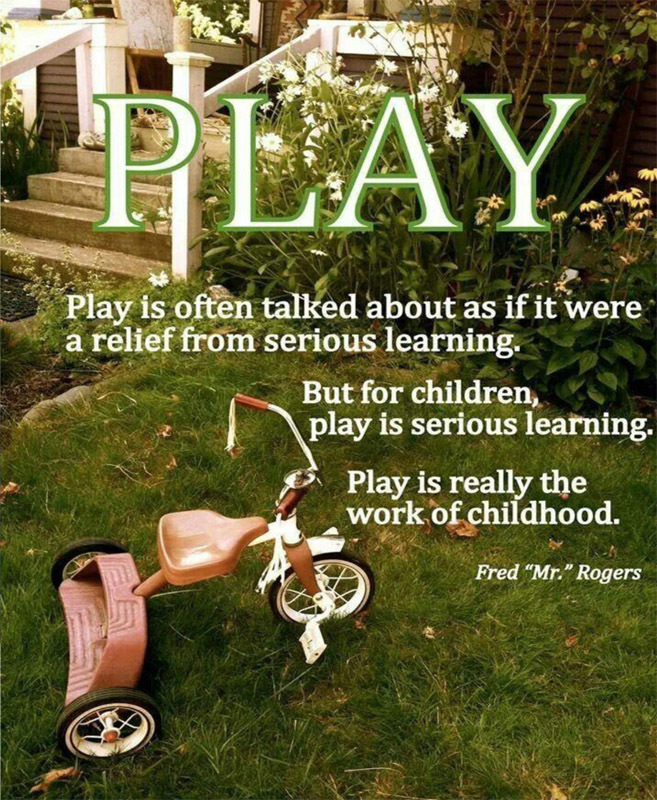 My day home is play based learning and I encourage lots of free play. We love to do art and crafts and baking! Being contracted through an accredited Day Home Agency means that I have all of the necessary background checks, first aid and health and safety standards in place. I offer planned, topic based interactive play with a variety of materials and play areas that are designed to meet the emerging interests of the children in the centre. These activities are designed to meet all of the developmental domains. We go to library story times weekly and we have monthly field trips to local businesses. I am open from 7am to 5:30pm Monday to Friday and 1 Saturday a month from 6:15am to 4:30pm. I do offer transport to westside schools if needed. 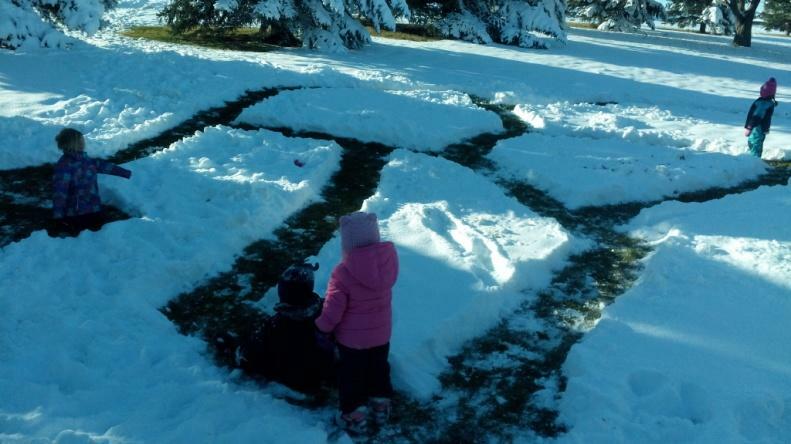 For more information you can contact Odyssey Childcare at 403-320-5437. Hi Everyone! My name is Lory Milos and I live on the north side with a big back yard for discovery and exploring the outdoors. I do not transport as it takes us away from our different activities throughout the day. I do offer extended hours for mornings, Monday to Friday. I live with my cat named Sherbert I have a daughter finishing her last 2 years at the U of A to become a teacher. 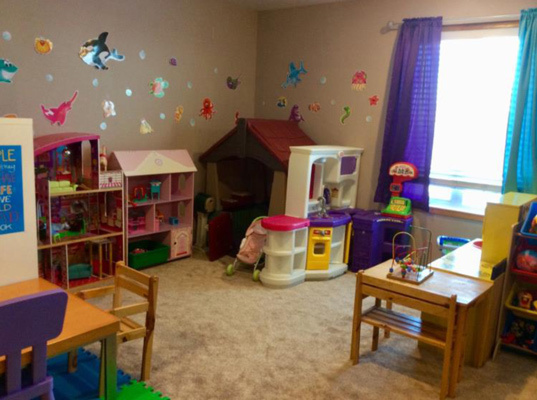 I have 8 years of experience operating a day home with Odyssey Childcare. 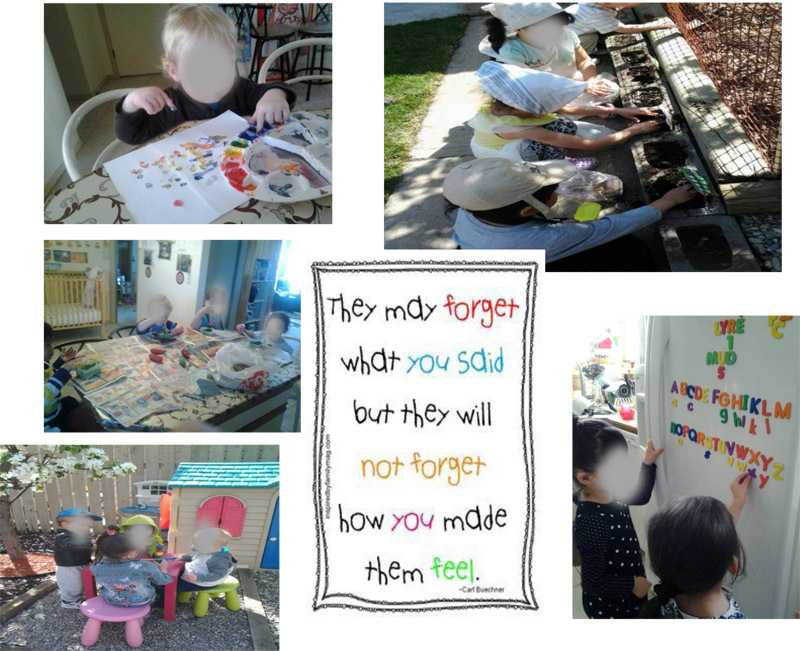 I enjoy being a Child Care Provider because it brings me joy to see children�s wonderment as they make discoveries exploring new activities and experiences with their peers. I enjoy being part of the process of nurturing children�s imagination and development. It always amazes me where a child�s imaginations can take them; from building castles out of a plain old boxes or watching something as simple as the breeze catching a plastic bag on a windy day! I believe that children should have lots of intentionally planned free play, so they learn and develop their physical, social, emotional, creative and intellectual skills. Children should have opportunities to expand their imagination through play. With your prior permission we take advantage of neighborhood walks and community playgrounds. We have fun discovering bugs, collecting rocks and pine cones! When we are not outdoors, we are busy with playdoh, art activities, reading stories and of course just playing! We do schedule time for healthy snacks, meals and quiet times. Hi! My name is EMMA LANDAYAN. I have a home on the north side in Uplands. I have 3 young adult children, my husband, and a medium-sized dog in the house. I have been a Child Development Supervisor (Level 3) for almost 4 years now. I graduated in the Philippines with a Bachelor in Secondary Education. I also trained as a Health Care Aide in Royale Health Care Aide School, and have participated in many child development workshops and seminars. My experience includes being an assistant teacher the Lethbridge Montessori School as well as being a Health Care Aide at the Health Care Home Ltd., Good Samaritan Society North, and Adapt-a �Care. I also have 20 years of teaching experience in the Philippines. The children have access to the main floor of my house. I offer the children a variety of materials for them to explore and support their interests. 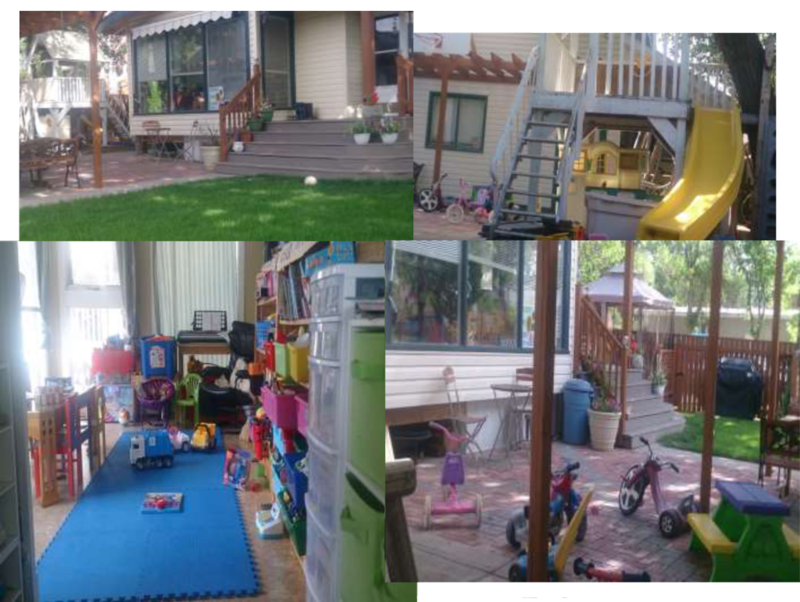 I have a large covered deck and an enclosed backyard which includes a sandbox, playhouse, slides, riding toys etc. I also make sure that with your written permission I walk with the children to the neighborhood park for them to have more fun outdoors in a different setting while doing a variety of activities. I love children and my goal as a day home Provider is not only to provide a safe and caring environment but also for the children to learn new things while having fun. My day home is always open since I don�t usually take days off except on emergencies. If you would like more information, please contact me at my home phone number (403) 942-1049 or my email romarichgarments@yahoo.com. I�m very excited to talk to you soon! I live on the North side with my Husband, Son (3 yrs. old) and our two dogs. My day home is centrally located, just north of Highway 3. I plan many different themed and developmentally appropriate activities that target all of the developmental domains but often times I go with the emergent interest of the children. For example if a child engages in the art exploration area, I add some more materials to enhance their experience and expand their play process. 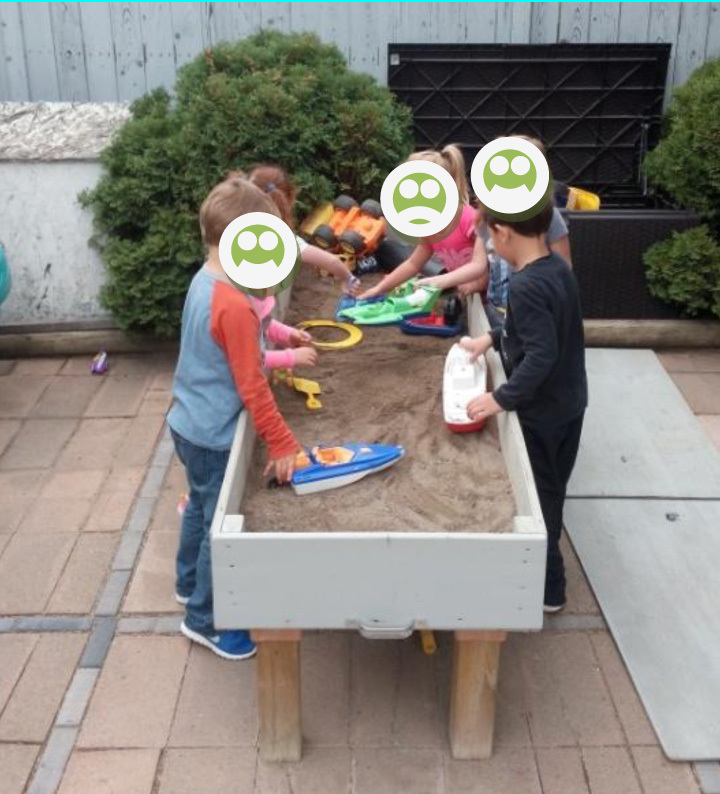 Ultimately, I am a big supporter of allowing supported free play; watching the play of the children unfold without adult interference fascinates me, there is so much they learn through play. I have an enclosed backyard which is used daily for many outdoor experiences. 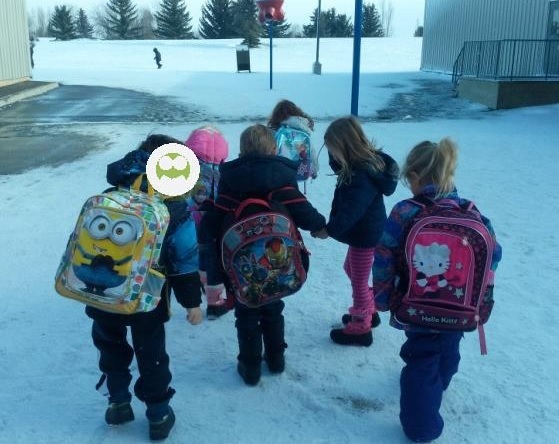 With your prior written permission, we also take field trips that include but are not limited to: city parks and playgrounds, Family Centre, nature centre, and the Galt museum. Currently I transport to Senator Buchannan School and may consider other school transport if it fits into our day home schedule. I have my level 1 in early childhood education and continue to expand my education through workshops on early childhood development. I am certified in first aid and have all of my references and background checks completed. I provide two snacks and lunch throughout the day and provide opportunity for the children to nap in the afternoon. My name is Ann Villacin. I am a level 2 Early Childhood educator that has operated a day home for 9 years. 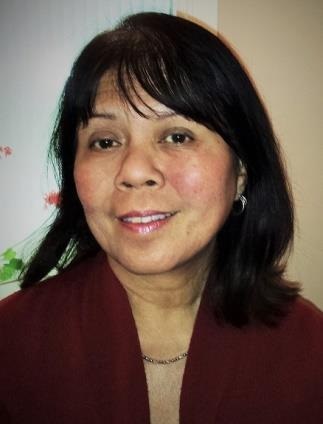 I was a nurse in the Philippines but when I came to Canada I worked for 5 years as a caregiver with people who had special needs. My day home journey started after I had my first child. Initially I wanted my child to have some playmates but along the way I developed a passion to be with young children. My husband Michael helps me run the day home when he is home from his full time job. We have 2 children. We really enjoy having our day home. 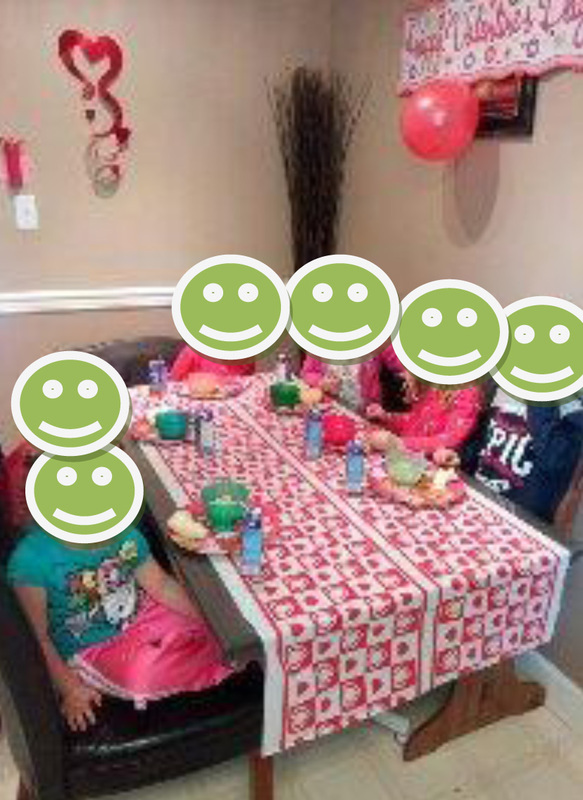 We work as a team and it is truly a �Family Day Home�, everyone is part of our family. We Filipinos are family oriented people that are known to be world class caregivers. As a Day Home Provider, I see to it that my primary roles are performed to the highest standards. From daily care, nurturing and educating the children as well as connecting with the families and community are of great importance to me. I see to it that I�m connecting with the parents and keep the lines of communication open. 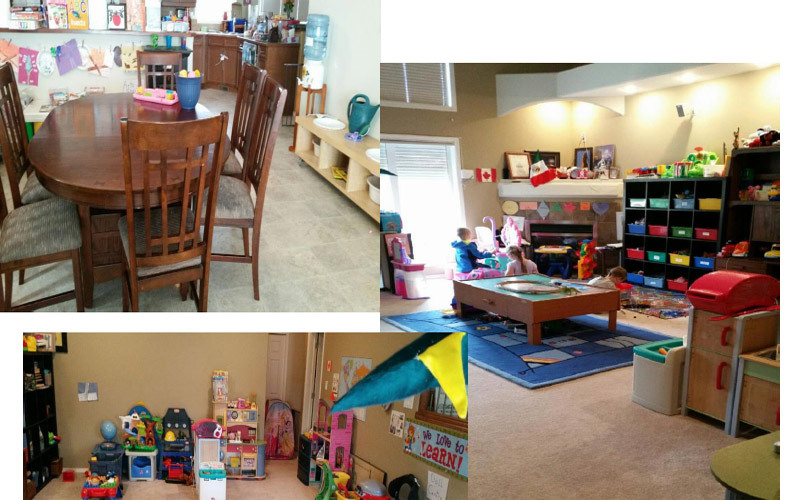 My day home is a child centered, fun, friendly and safe environment for your children. Here they will play, sing, dance and develop their own potential with the other children. They will have the opportunity to be independent, have the freedom to explore things and develop their unique creativity. We have a big backyard with many play materials. We have multicultural materials, toys, books, musical instruments and dress up clothes to meet diverse cultural needs. We believe in, value and respect cultural ethnicity. We believe that diversity enriches our society, it gives us insight and perspective that one might not otherwise be exposed to and it provides an opportunity to discover, learn and understand the world that we live in. Hi, I'm Febbs. My day home is situated along the eastern portion of the Green Strip or the Centennial Park on the south side of the city. It�s an ideal place for children to play games at the playground located just in front of my day home. Families can also spend quality time and enjoy the beauty of the park area with verdant plants and trees, have a picnic during summer or join community snow activities at the nearby Sugar Bowl in the winter. I started my day home in December 2012. I am an LPN or Licenced Practical Nurse and have rendered services at seniors� retirement and nursing homes for many years. With my skills and work experiences as a health care professional, I ensure that safety and wellness of the children are always maintained in my day home based on required provincial standards. I hold two Bachelor of Arts degrees: one major in English and another major in Economics. I am assisted in my day home by one of my daughters and my husband, a retired accountant. My day home is open from 7:00 am until 5:00 pm, Monday to Friday. I am flexible and can make adjustments to the time schedules of parents on a case to case basis. I am very patient and understanding to the children�s needs and will do all I can to provide a wholesome and caring environment. 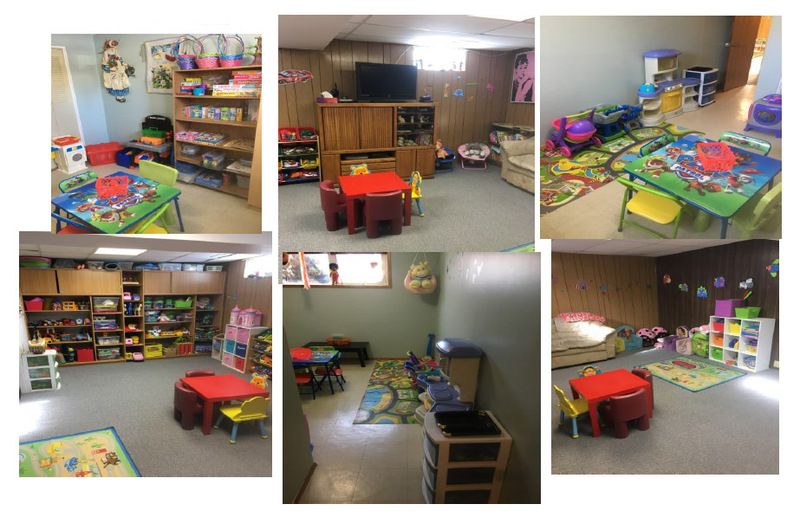 We have sufficient books, toys and art materials in our centers that will enhance the social, creative, physical and other qualities needed in each child�s growth and development. If you are interested please contact Febbs Reserva at 403-327-7099 or Email: febbs123@gmail.com. My name is Lorin Shockley, and I run an Odyssey day home centrally located off 6th Ave. on the Southside! I have spent the past 35 years working with children. I was a fulltime mother and home-school teacher for my three sons, all of whom are now grown and living their passions, which we started cultivating from a young age: my oldest is a manager for a well-known corporation in the States; my middle son is a professional musician in the Caribbean; and my youngest son works in public service and has a Master of Public Administration. I was blessed to have fallen in love and moved to Canada from the U.S. 18 years ago. My husband, who ran Fort Whoop Up for 12 years, has now passed, but before he left us, I was gifted with a beautiful daughter years after I expected to have any more children! Like my sons, I homeschooled her. She is now entering into her sophomore year in high school. She is incredible: she volunteers at a senior center close by, plans bake-sales with her girlfriends to raise money for the homeless shelter, and wants to become an animal control officer. She is also a babysitter and has completed the St. John's Ambulance Babysitting Basics course. I am passionate about early childhood education. In my dayhome, I plan daily activities that exceed the developmental targets of the children in my care. We are always engaged in new activities. We sing, dance, cook, read books, create masterpieces with art materials, play with Play-Doh, laugh, make up fun rhymes, build magical forts in faraway lands (in my living room :-) ), play games, take deep dives into the ocean with toy sharks and buckets of water, create paper animals and paint them, plant seedlings and watch them grow, find bugs in the backyard, and many more activities! When permitted, I enjoy taking children to the library, which is close to my house, and to community parks. It would be a pleasure to meet you and your little one(s)! Please feel free to call me anytime. My cell phone is always with me for safety's sake. And I check my email regularly. 1 dog that is great with children and very patient. She's a Golden Lab mix. Her name is Hazel. :-) (named by my daughter when she was 5 years old). I have been operating my Day Home for 10 years. I, my husband Ron and our 2 school aged son�s share a love of nature, cooking and learning through play. I like to develop relationships with each child depending on their interests and needs. Special tea time, bug collecting, gardening, or dinosaur digs are a few simple activities that I have enjoyed with the children I have cared for. Commitment to a child�s safety, health and learning is the foundation on which I design my program. To support families with school age children, I offer transport to Fleetwood Bawden, Gilbert Patterson and St. Mary�s school. Hi, my name is Sarita. I have worked as a Teacher Educator from 1992-2006 and have been working as a Child Care Supervisor since 2007. I have attained a well-rounded background through my University education, related education projects, and practical experience in International and Domestic Educational Systems. In my work as a Child Care Supervisor, I have gained invaluable research and planning experience. In addition, I have had experience interpreting data skills as a psychological counsellor. I�m proud to say that have already had the chance to graduate 3 pre-school batches under my belt over the last 9 years. I actively involve myself in seminars and conferences. I also enjoy going to the gym because health and nutrition always come first, plus, who doesn�t like to challenge their own limits! . Ever since a young age, I have surrounded myself with books because I believe that knowledge and education form the essential roots needed to obtain success in life. I also find myself actively incorporating these values into the children I look after. Reading and writing books is my choice of leisure thru the weekends. I live in a Single Family Detached Bungalow Structure house. This includes a safe large backyard space in addition to the right blend of configurations where children can actively play when outside. 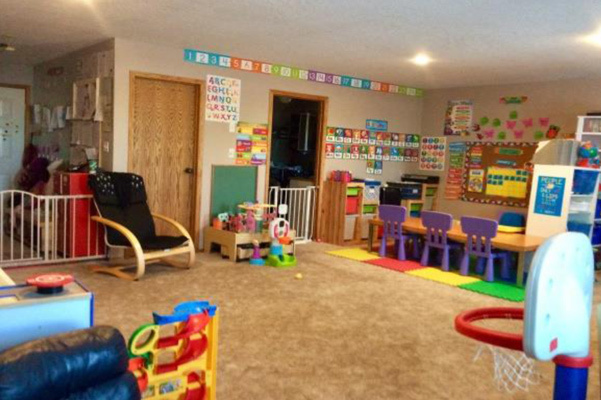 Children are welcomed to a large basement space where many learning tools are provided to them. Since my day home is located close to a couple of large playgrounds, I treat the children with frequent visits and make sure to keep an ongoing positive environment safety. 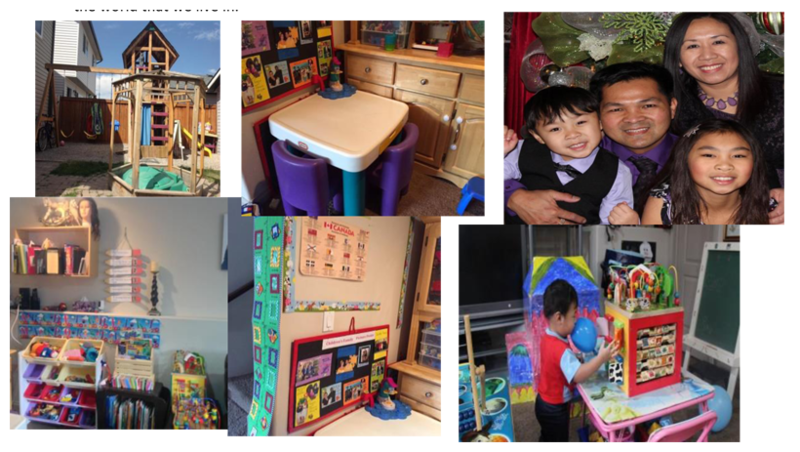 My main goal is to further grow the overall development of children, which is why I have designated specific areas in my day home to further enhance the kids� cognitive abilities, manipulation skills, make-believe play, and many others. I also practice methods that enhance social interactions between children since one of the most important skills in life is to communicate and do it well. For physical development, I have invested in heavy-duty equipment for outside play. I live with my husband and my two children. My daughter attained B.Mgmt. from University of Lethbridge and is attending Law School in London, UK. My son is studying Neuroscience at the University of Lethbridge and will be attending Medical School upon graduation. Safety of the children is one of my highest priorities in addition to Tender, Love, and Care. Additional Services: Mode of Transportation, 7 Seat Escalade� please contact for additional information. HI my name is Paige Wolsey. I have 2 young children of my own and decided to operate a day home so that I could accommodate the needs of my family and other families needing child care. 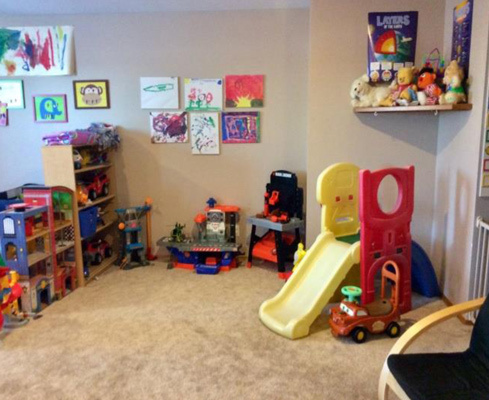 My home is set up so that the children have access to areas on both levels of my home. 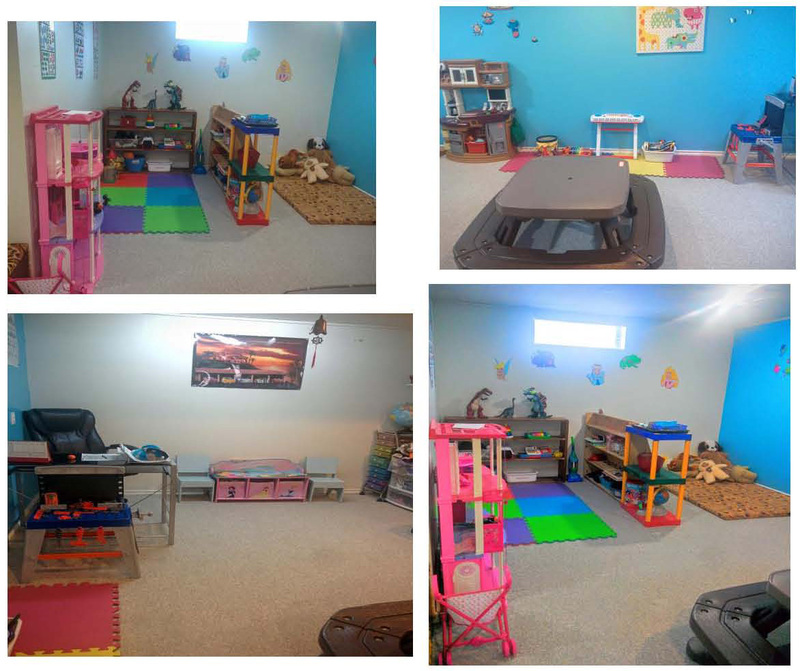 There is a large play space on the lower level that has several play centers set up for the children as well as a large open space for the children to explore gross motor activities. I also have a large full enclosed backyard with many materials for the children to use in the outdoor space. 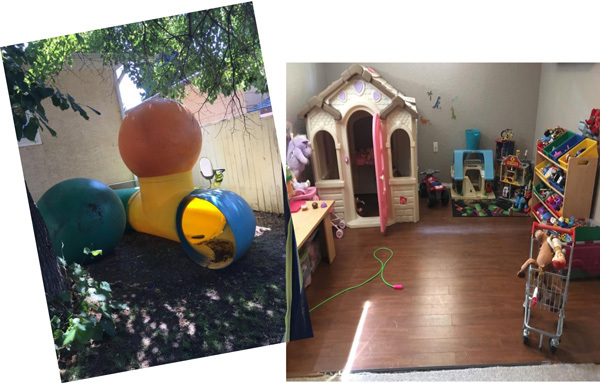 My home offers a variety of different play materials both indoors and outdoors that target the needs of a wide range of developmental needs. I also have 2 dogs, 2 cats and 2 rabbits. I plan a daily menu that meets the Canada Food Guide requirements and I also plan daily activities that meet the developmental targets of the children in my care. I look forward to meeting your family and making them a part of my day home! Hi my name is Tammy Lehr and I run my day home in Cardston. I have been operating a day home for almost 4 years. I have a Bachelor�s Degree in Elementary Education from BYU in Idaho. Since graduating in 2005, I have been working in the field of Early Childhood Education. I worked as a substitute teacher until the birth of my son Skyler when I chose to stay home and open up my day home. Being contracted through an accredited Day Home Agency means that I have all of the necessary background checks, first aid and health and safety standards in place. I offer planned, topic based interactive play with a variety of materials and play areas that are designed to meet the emerging interests of the children in the centre. These activities are designed to meet all of the developmental domains. I also offer a large outdoor space with many play areas and materials that we access daily. I am open from 8 am to 5:30 pm Monday to Friday. I provide 2 snacks and lunch daily. I do offer transport to Cardston schools if needed. For more information you can call me at 403-653-4130 or contact Odyssey Childcare at 403-320-5437. 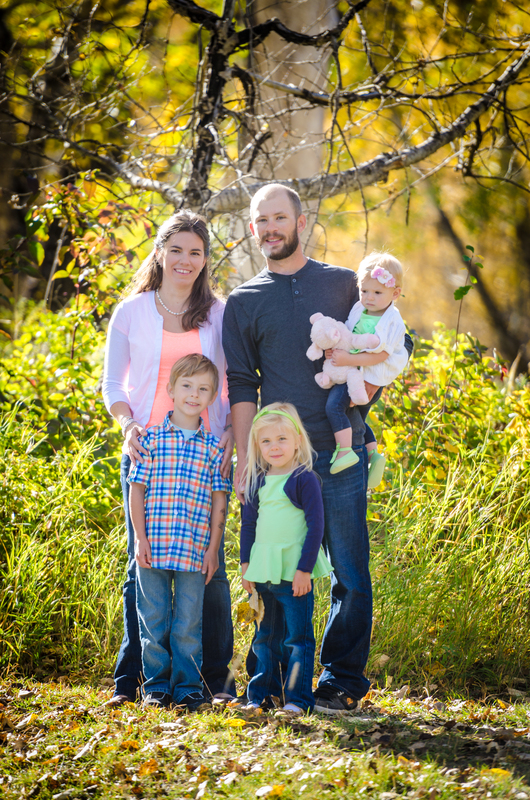 My name is Jayme and my Day Home is located in Coaldale. I am the mother of two amazing boys 11 and 13 years. I have a small dog that is vaccinated, hypo allergenic and child friendly. I have been contracted with Odyssey Childcare for 3 years. 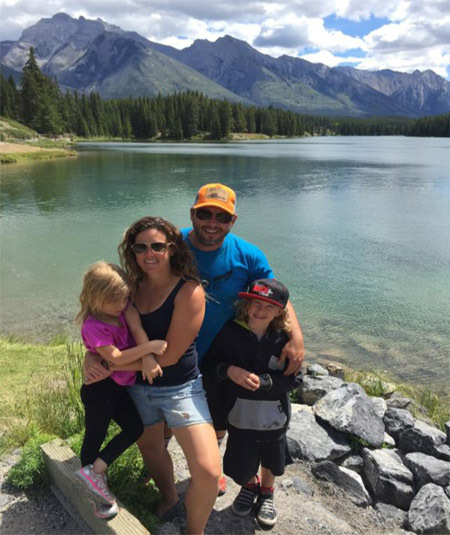 Prior to moving to Coaldale I operated a Day Home in Calgary for many years. I also have experience working in a preschool setting and have been employed as a Preschool teacher. I have my level 1 in ECE, current 1st Aid, and have attended various workshops in providing quality care for children. My Mother has been screened and is approved by the agency to assist me in my Day Home and is qualified to provide back care for me in my home. My enclosed back yard is designed to provide a variety of outdoor entertainment and growth and my indoor environment dedicated to development and fun for the children.